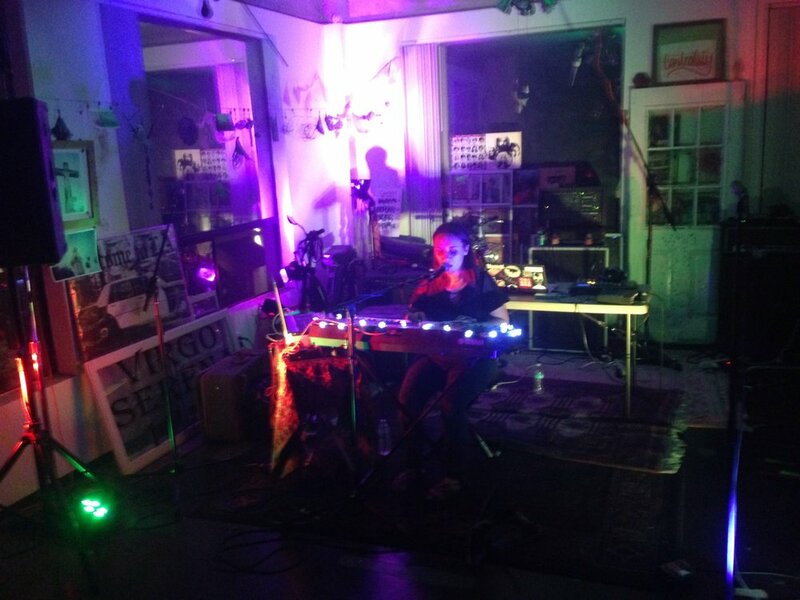 Me playing live at Centrality in Downtown Pomona. Just realized that I should probably update this thing with the news that's been all over my social media. I'm on the road! Me, Andrew Vidal, and Eden Page are doing a West Coast house concert tour, and so far it's been great. We've done two traditional shows (at Heska's Sugar Shack in Mentone and Centrality in Pomona) and one house concert in Riverside, and all three were so fun. Now Andrew and I are driving up the California coast for a few days, seeing the sights and visiting folks, before we all meet up again in Portland for round two. This has already been one of the loveliest experiences I've ever had and it's barely begun. I'm so looking forward to all the people we're going to meet and the new places we're going to see. Can't wait! More updates to come.